(a) Inspect operation of the transmitter. 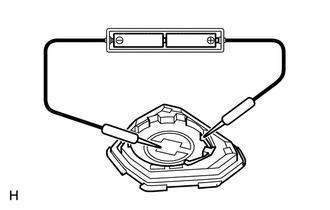 (1) Remove the battery (lithium battery) from the transmitter (See page ). (2) Install a new or non-depleted battery (lithium battery). When a new or non-depleted battery is not available, first connect 2 new 1.5 batteries in series. Then connect leads to the batteries and apply 3 V to the transmitter, as shown in the illustration. (3) From outside the vehicle, approximately 1 m (3.28 ft) from the driver side outside door handle, test the transmitter by pointing its key plate at the vehicle and pressing a transmitter switch. The door lock can be operated via the transmitter. The LED comes on more than once. 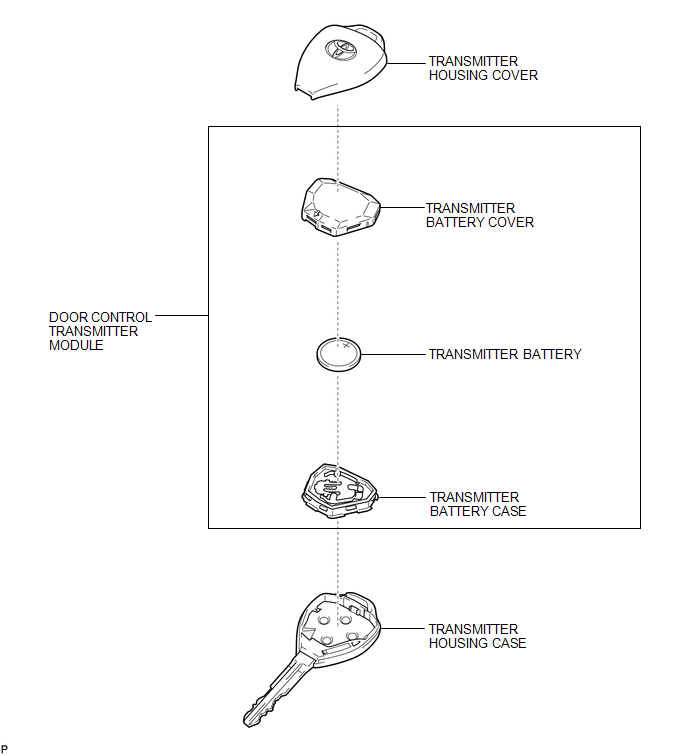 The operational area differs depending on the user, the way the transmitter is held and the location. The transmitter's faint electric waves may be affected if the area has strong electric waves or noise. The transmitter's operation area may be shortened or the transmitter may not function. (b) Inspect the battery capacity. (1) Remove the battery from the electrical key transmitter that does not operate. Attach a lead wire (0.6 mm (0.0236 in.) 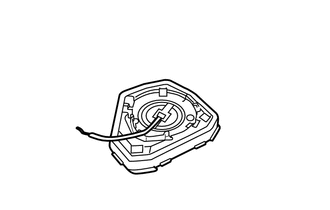 in diameter or less including wire sheath) with tape or equivalent to the negative terminal (See page ). (2) Carefully pull the lead wire out from the position shown in the illustration and install the previously removed transmitter battery. (3) Using an oscilloscope, check the transmitter battery voltage waveform. If the result is not as specified, replace the transmitter battery.